AccountsPortal provides you with a suite of professional, easy to understand reports, all of which are calculated in real time. The comprehensive list of reports includes Balance Sheet, Profit and Loss, Trial Balance, Ageing Reports, and more. Invite your accountant or business partner to log in and view the results for themselves. Alternatively, all reports can be exported to PDF or CSV/Excel at any time. 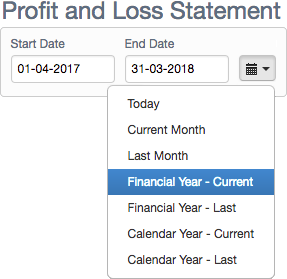 No need to calculate and roll over year-end balances. AccountsPortal does it all for you! Summary and detail VAT, GST or tax information for reporting to your local tax authority. Summary of all outstanding sales or purchases at a point in time displayed in specific ageing brackets. EC Sales List and VAT MOSS reporting requirements are fully catered for.